In the run-up to the launch of the 'Swachhata Hi Seva Movement' on Saturday, Prime Minister Narendra Modi has written to almost 2,000 citizens from different walks of life, inviting them to be a part of the cleanliness drive, official sources have said. Those invited by the Prime Minister Modi include former judges, retired government officials, winners of gallantry awards, and CWG and Asian Games medallists, they said. Chief Ministers and Deputy Chief Ministers of all states, governors and lieutenant governors have also received personalised letters. Several eminent spiritual leaders, film personalities, sportspersons, writers, journalists of leading media outlets across India have also received personalised letters from the prime minister. In his letter, the Prime Minister described the Swachh Bharat Mission as a mass movement that has ushered in a 'swachhata revolution' across India. On the Swachh Bharat Mission, the Prime Minister wrote that over 8.5 crore toilets have been constructed in the past four years. He said more than 90 per cent Indians have access to toilet, as compared to less than 40 per cent in 2014. Over 4.25 lakh villages, 430 districts, 2800 cities/towns, and 19 states and UTs have been declared open-defecation free. On Saturday, he will interact with those working on cleanliness activities after which Swachhata (Cleanliness) activities will commence. He asked the recipients of the letters to support the mission and inspire others to do the same. The 'Swachhata Hi Seva Mission' has already been generating tremendous enthusiasm among all walks of life. Eminent citizens such as Sri Sri Ravi Shankari, Akshay Kumar, Amitabh Bachchan and others have given their support to the movement. 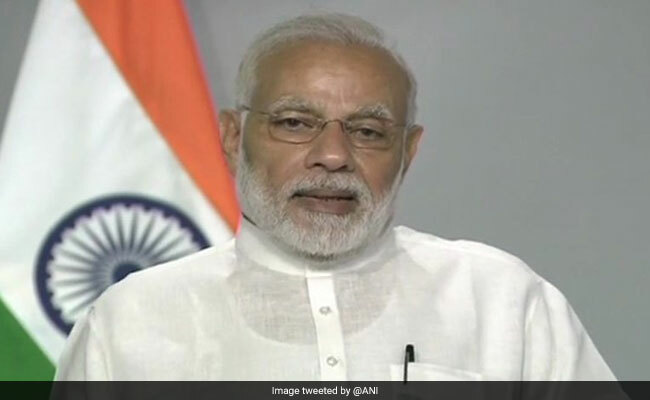 As part of an elaborate launch event for the fortnight-long movement, the PM Modi will interact with a cross-section of people from 18 locations across the country via video conferencing. PM Modi will interact with school children, jawans, spiritual leaders, members of milk and agricultural cooperatives, media persons, local government representatives, railway employees, Self Help Groups, and 'Swachhagrahis'. The 'Swachhata Hi Seva' movement, which aims at generating greater public participation towards Swachhta, is being organised in the run-up to the fourth anniversary of the Swachh Bharat Mission, on October 2, 2018, which will also mark the commencement of Mahatma Gandhi's 150th birth anniversary celebrations.